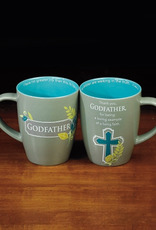 Celebrate your Godfather with this beautiful mug! 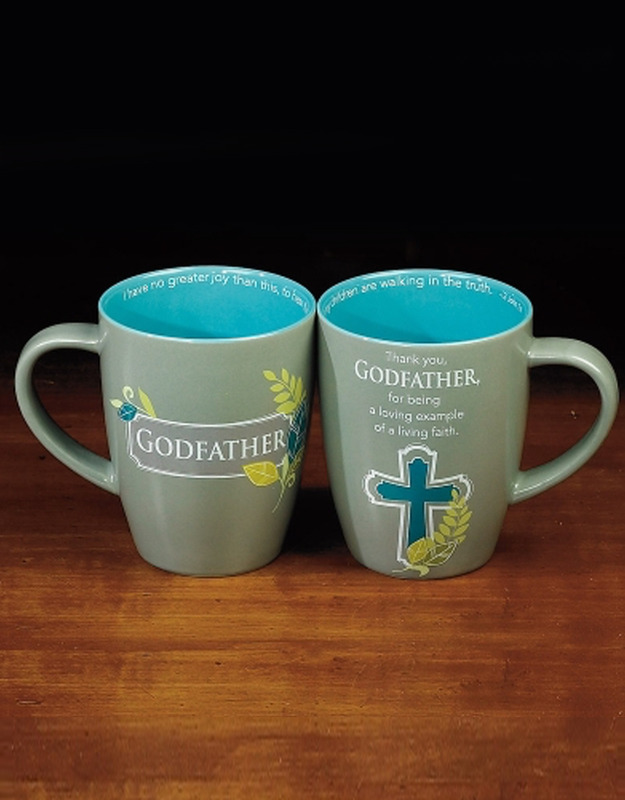 Featuring a matte finish with a glossy inside, our Godfather Mug has bright leaves and cross detailing. 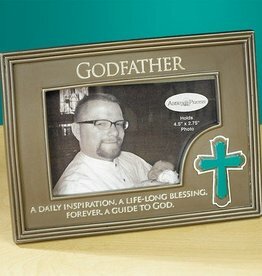 Thank you Godfather for being a loving example of a living faith. 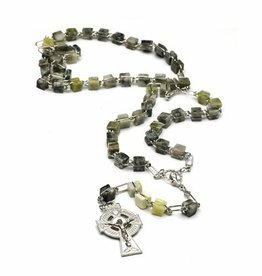 Many his loving protection be a blessing to you always. 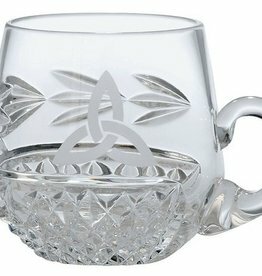 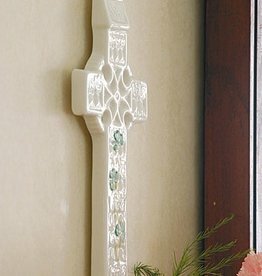 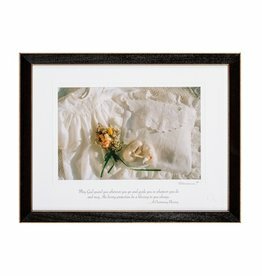 The "Irish Reflections" collection offers distinctive prints for all of life's celebrations. 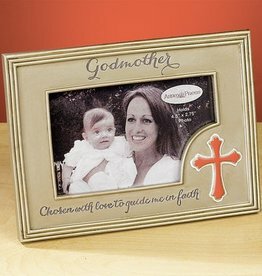 Celebrate your Godmother with this beautiful mug! 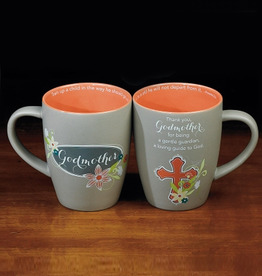 Featuring a matte finish with a glossy inside, our Godmother Mug has bright flower and cross detailing.